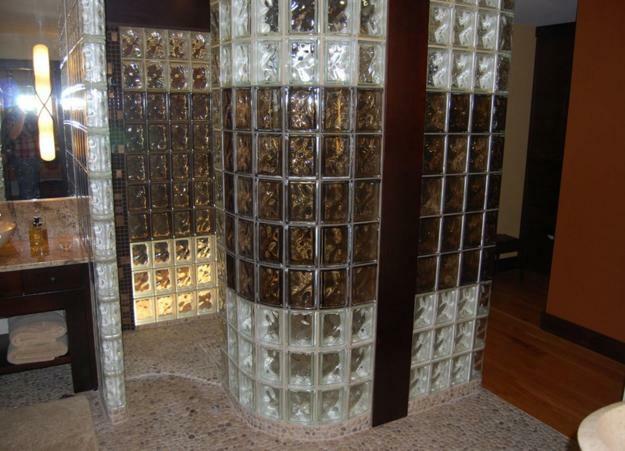 Glass block shower designs look luxurious, bright, and original. 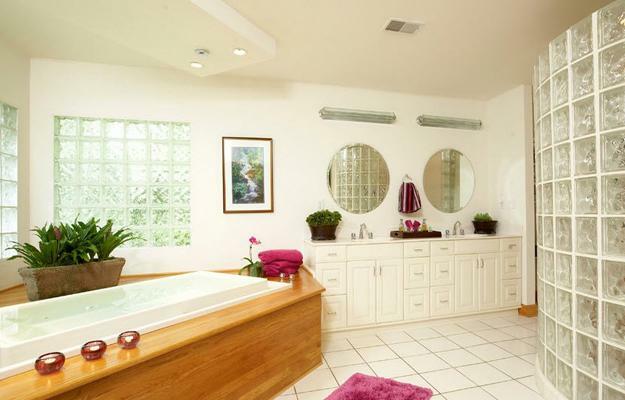 Curves add softness to modern bathrooms, enhance a comfortable feel in the functional rooms. 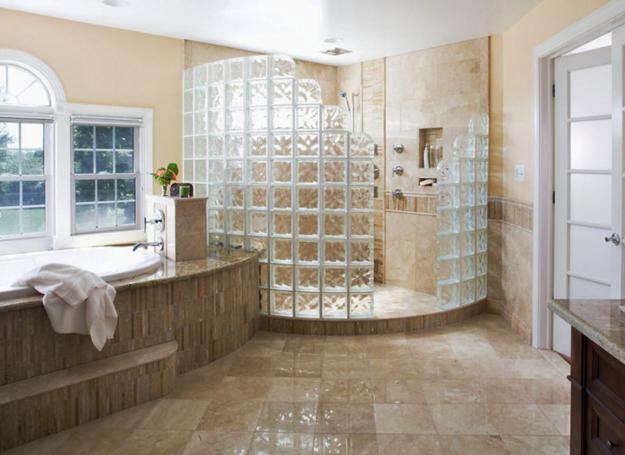 You can have simple straight walls which are cost-effective or create angled and curvy designs adding beautiful round walls to your bathroom. 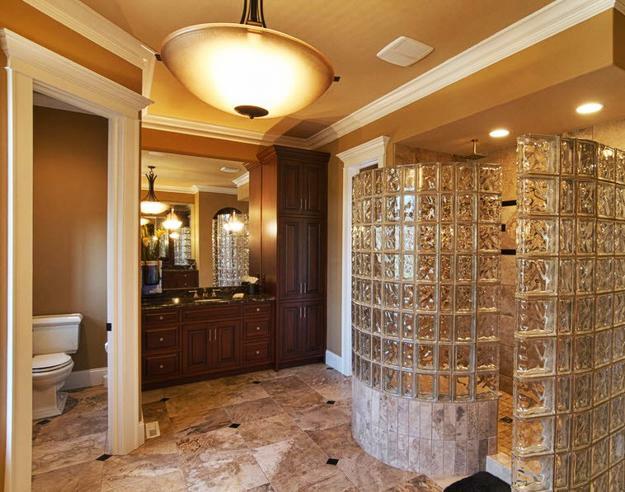 Walk-in and roll-in shower designs built with glass blocks are fabulous architectural features. 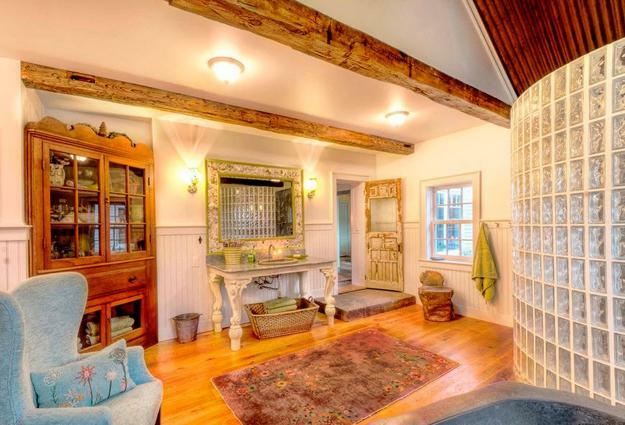 They invite light and let it penetrate through the walls. 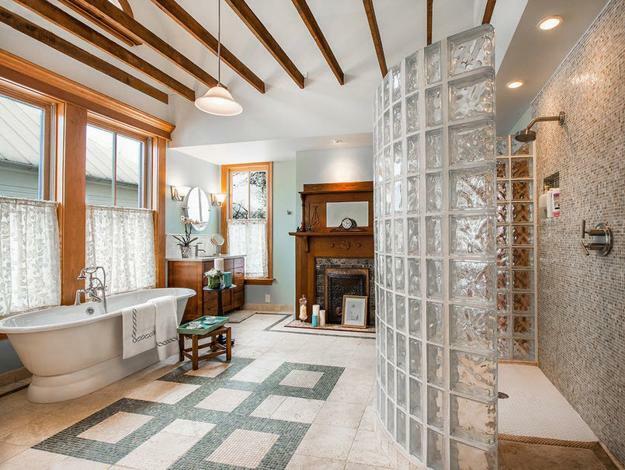 They brighten up the bathroom design and add chic to the interior. 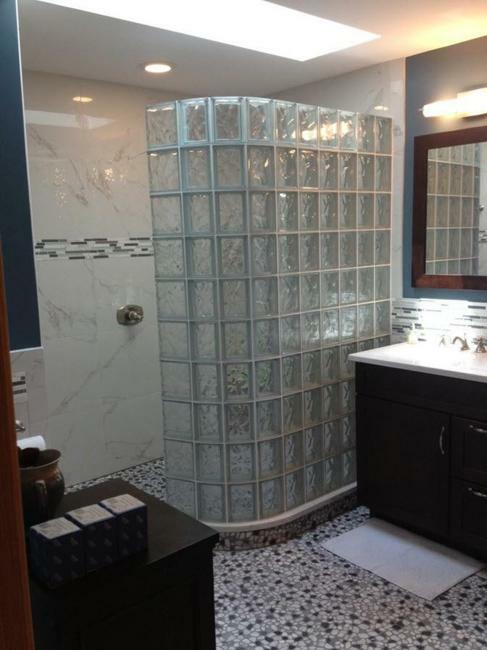 It is easy to lay up your glass blocks one by one for building the wall, but results are superior if you purchase prefabricated panel sections for your shower walls. 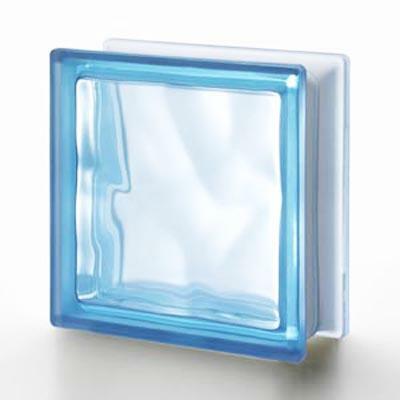 Manageable sections which are anchored, glued with silicone together, and then field grouted are the way to build your glass block wall, save energy and time. 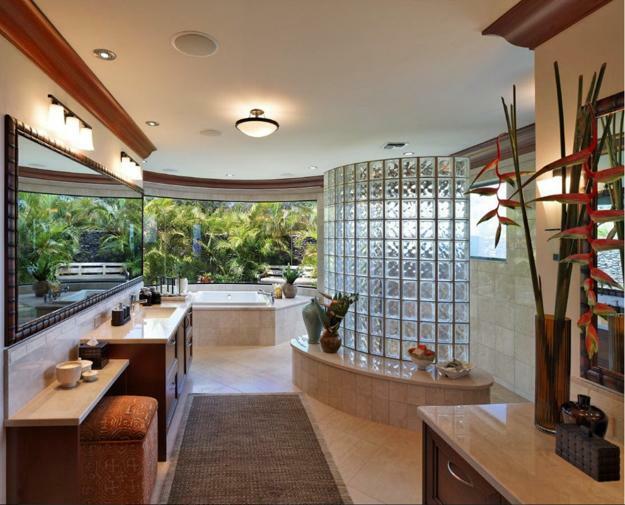 The result is a high quality of the finished project that increases the bathroom appeal. 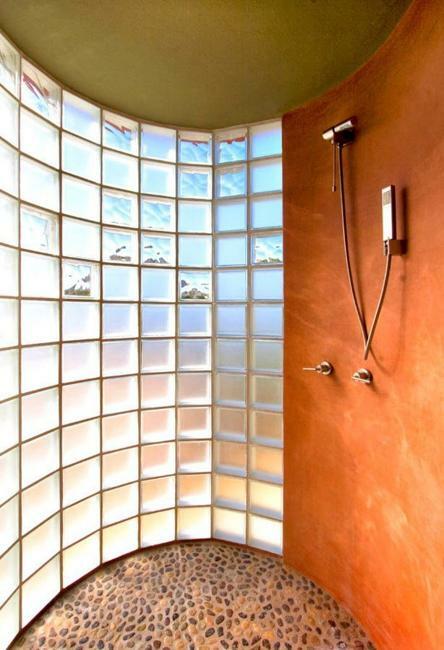 Glass block curves look fantastic, but you can add original elements to the interior and exterior shower walls. 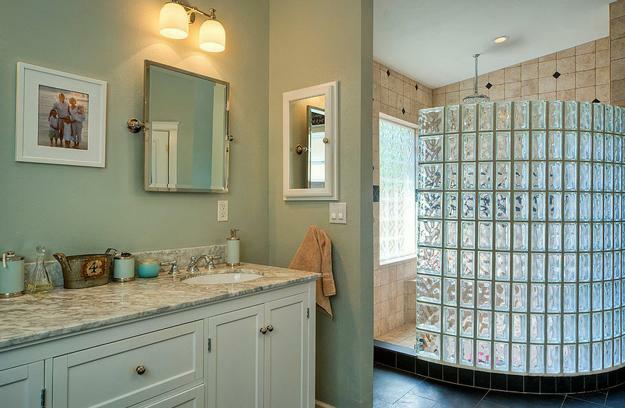 Colored glass blocks or unusual designs, large and small sizes and unique patterns are the stylish ways to customize modern shower designs. 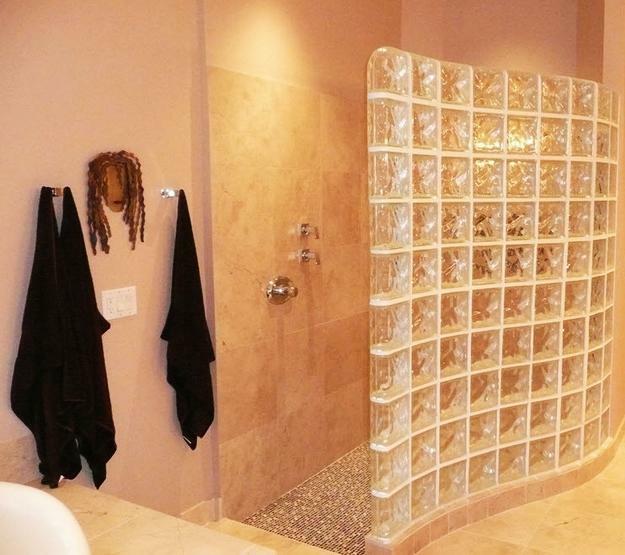 Etched, frosted, and colored glass block that you can combine in one-of-a-kind walls blend the beauty of glass with originality and create unique designs. Curved, angled or 90-degree corner walls and their combinations allow creating amazing walk-in showers and beautify modern bathroom design. 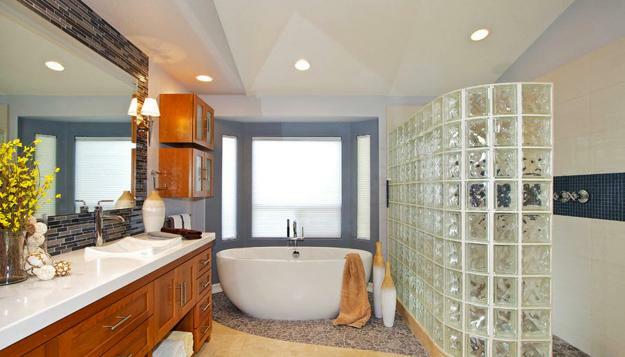 Glass blocks are beautiful materials for bathroom remodeling. 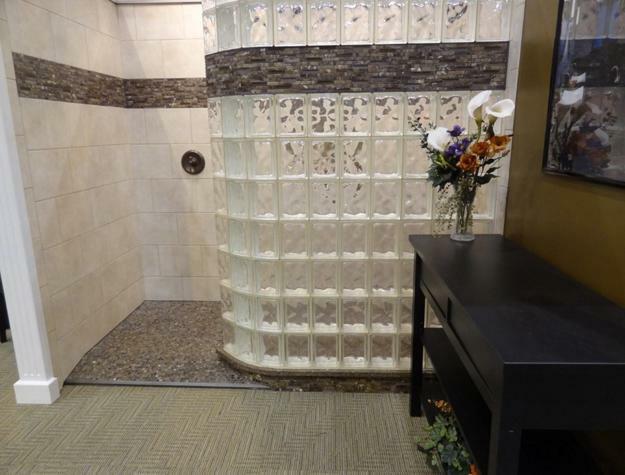 They keep every corner in the shower illuminated, comfortable, attractive. 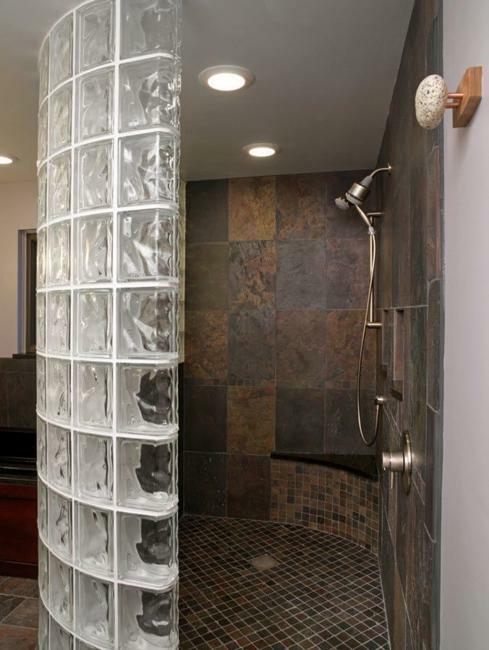 Recessed shower niches for soap, shampoo, and shower accessories, round or angled seats are details that improve the functionality of custom built shower designs also. 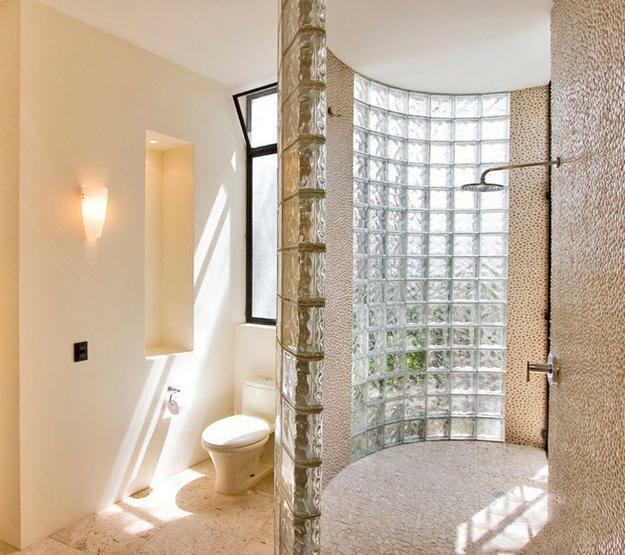 Glass block windows in the exterior walls and stylish glass block shower walls work beautifully together creating bright and modern bathroom design. 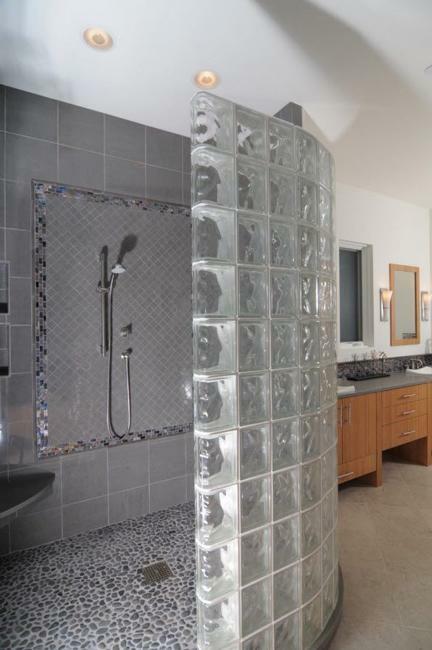 Have a look at the collection of glass block showers with curvy walls. 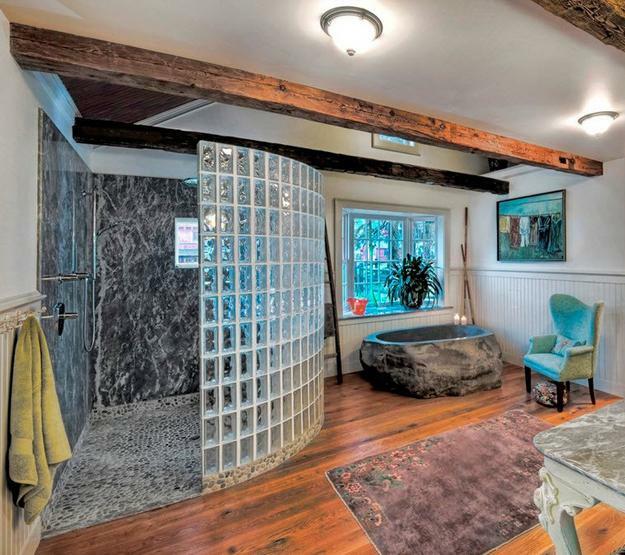 Steal the look or get inspired for an original interior design or bathroom remodeling project. 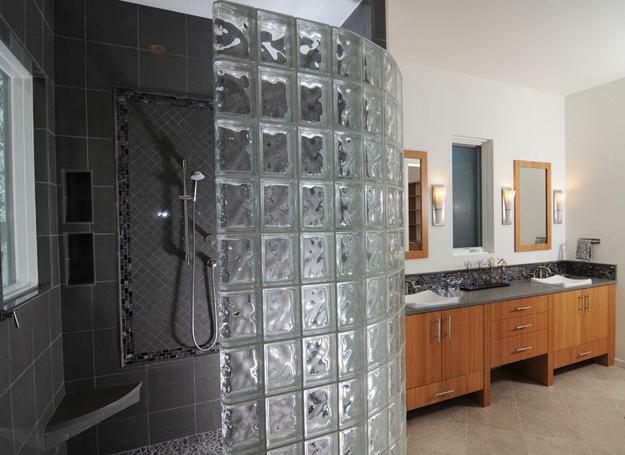 Turn your bathroom into a luxurious, light, and comfortable room with the sparkling accents.